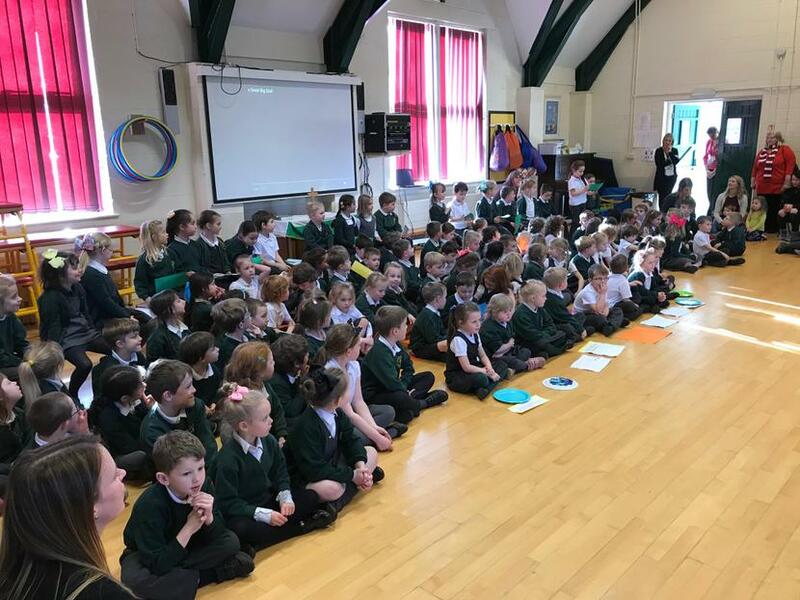 Our Year 1 and 2 children invited their families into school yesterday so that they could tell them all about their RE learning over the last few weeks. 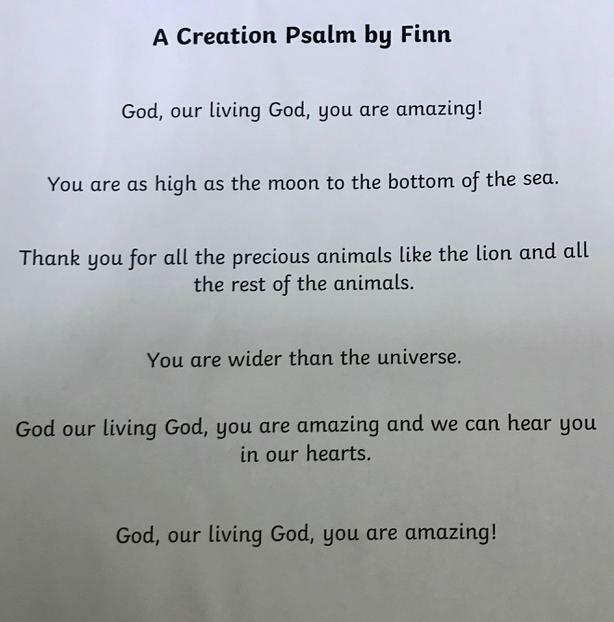 Year 1 had been learning about the creation story and retold "In the Beginning" by Steve Turner. 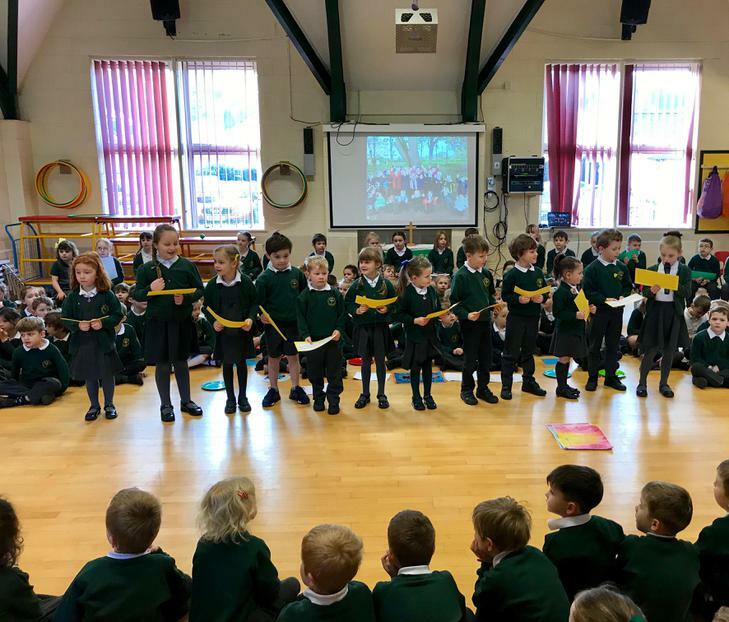 They had learned lots of signs for the words which they all enjoyed acting out. 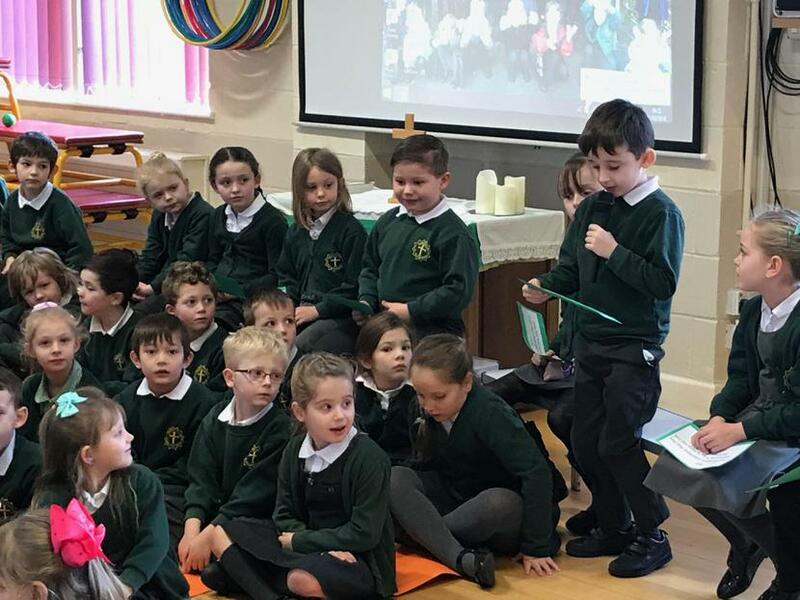 Year 2 have been learning about Judaism and how Jewish people rest on Shabbat, to remember the creation story and allow time for God and family life. 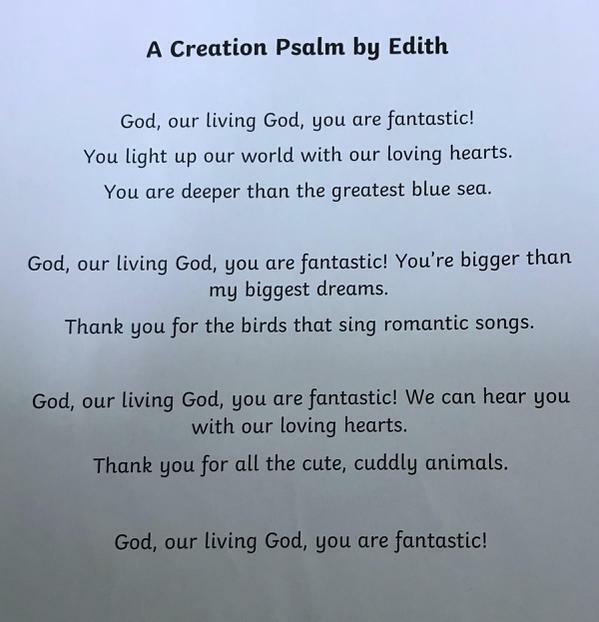 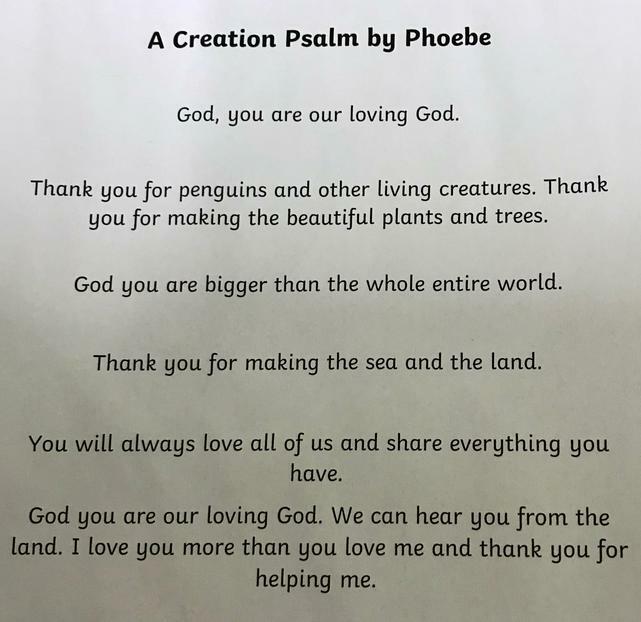 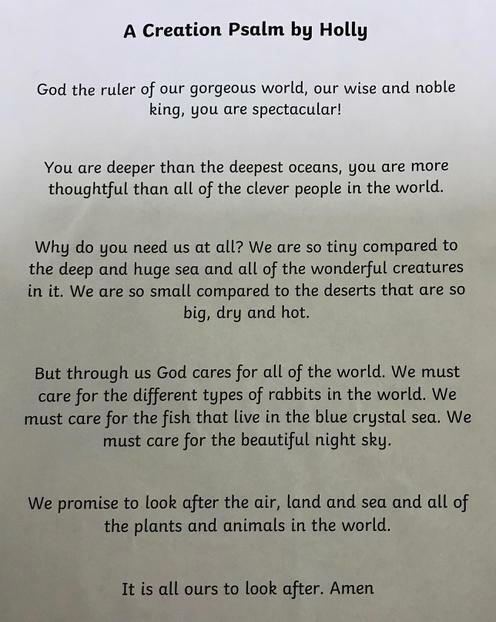 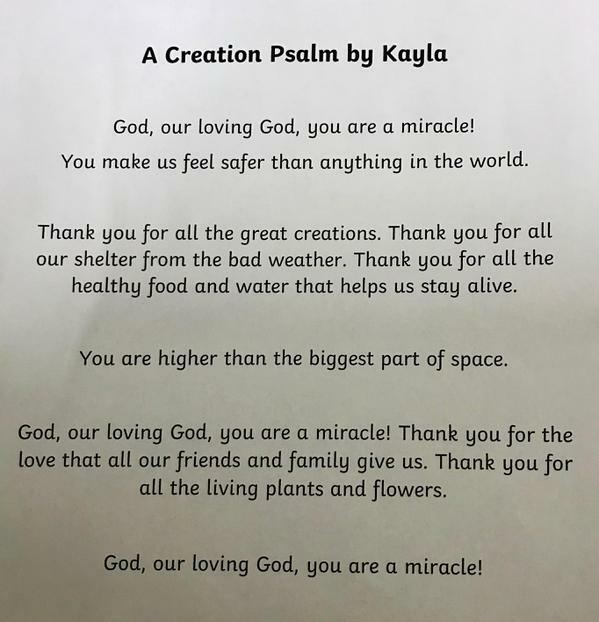 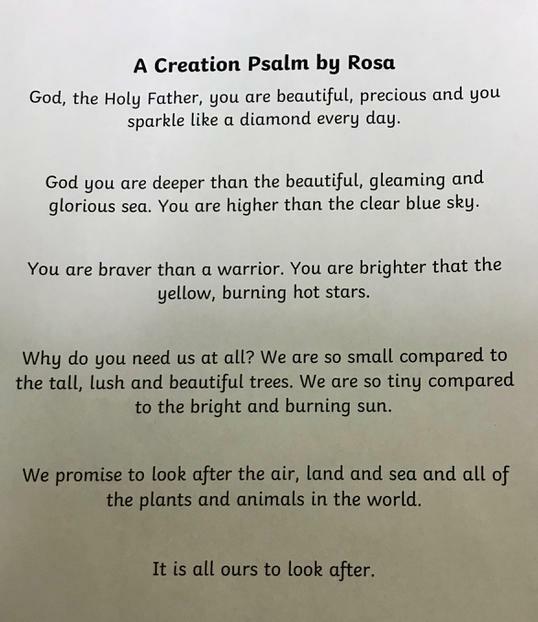 They then learned about a psalm that King David wrote, all about God's wonderful creation. 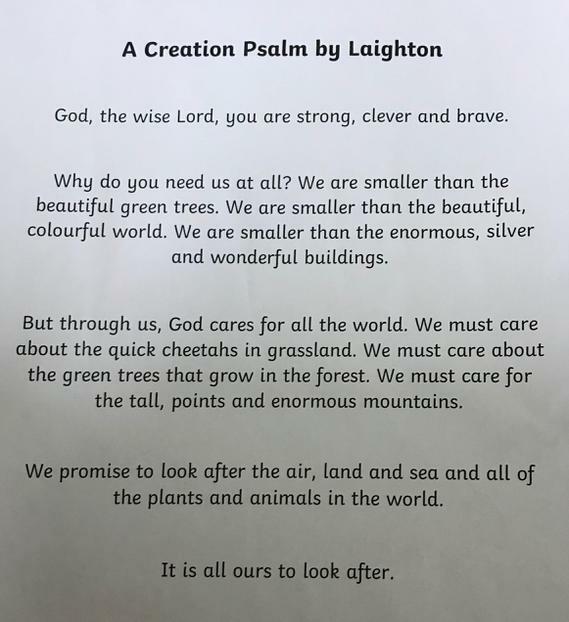 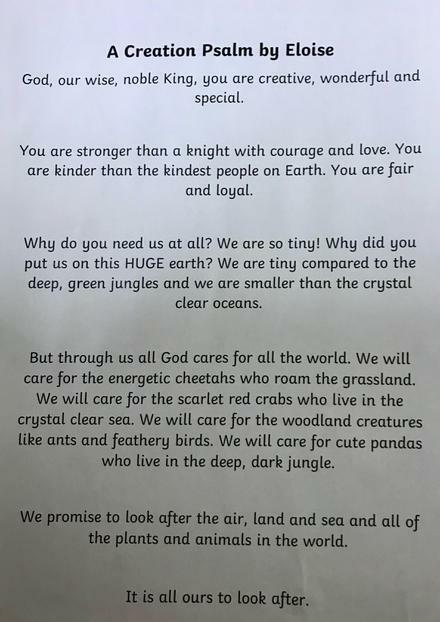 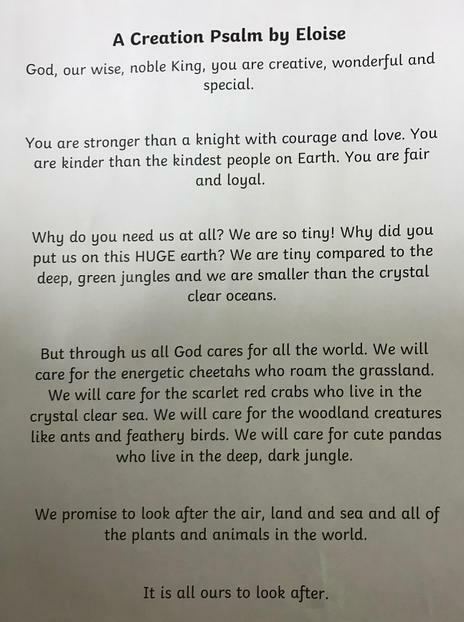 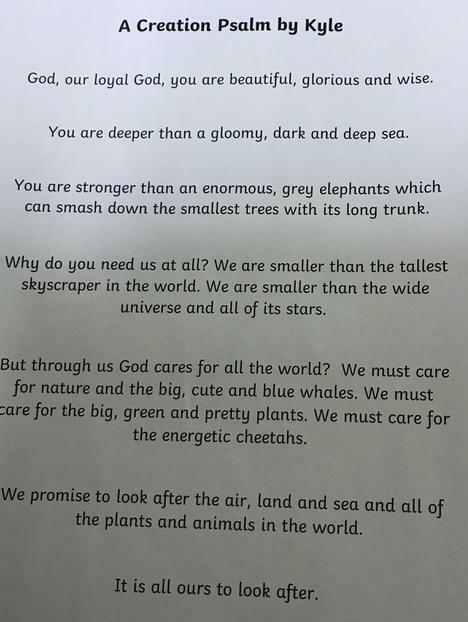 Year 2 were challenged to write their own psalms and did a fantastic job. 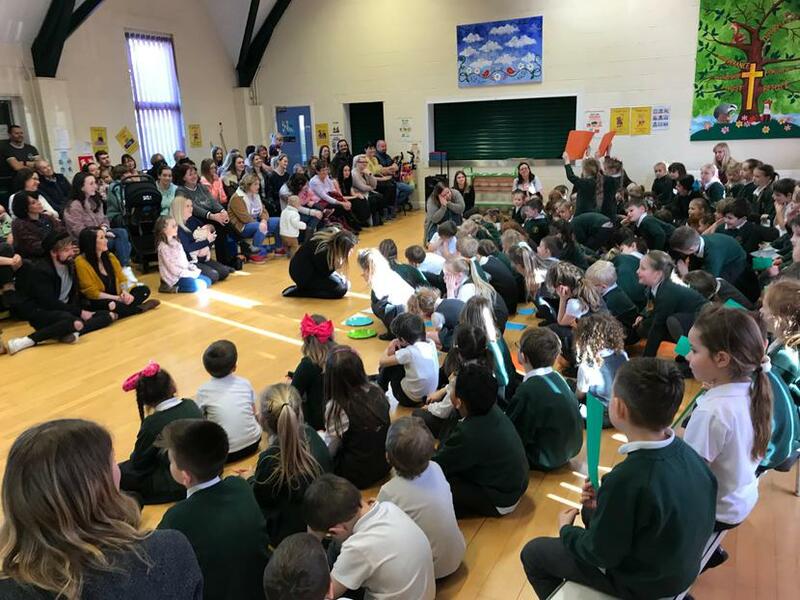 We are very proud of all the children and thank all the family members who came to watch them.